Bamboo may be a panda’s go-to meal, but the species of grass comes in handy for humans, too. In fact, it could save your life in an emergency situation. Bamboo is one of the “greatest finds in a survival situation.” Its been used for thousands of years in countless different scenarios. Bamboo grows just like the grass on your lawn, and does exceptionally well in a container or in the ground. Whether you get them in a clump from the garden center or grow them from root or seed, they are simple to grow and take care of. Simply remove the clump from the container and plant directly in your yard. Remember bamboo is an invasive plant, and if it’s not carefully contained, it can spread like wildfire. Bamboo thrives in all day, full hot sun, but they can handle some shade as well. 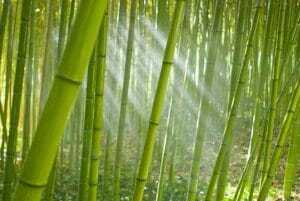 With good soil and surroundings, bamboo will sprout in no time. There are two bamboo varieties. Running bamboo is very invasive and, if left unchecked, will take over your yard before you know it. It’s important to keep this type away from parks, neighboring backyards or waterways where seeds could easily spread. Clumping bamboo is better, as it stays together in a clump, almost like a tree, and doesn’t overwhelm your outdoor space. Bamboo has so many uses that you’d be crazy not to plant it. In the case of an emergency, bamboo growers will “have an advantage over other preppers that do not grow bamboo.” One example is how bamboo can be used to make a fire in a matter of minutes. First, split the biggest dead piece of bamboo in half and begin scraping off the powdery dead coating. Once done, increase the pressure on the bamboo, and you’ll notice shavings will build up on either side of your knife. Put these shavings aside and make sure you have two bundles that are roughly the size of an egg. Next, you’ll prepare the “fire board” by drilling a hole with a knife on the inside of the bamboo piece to the outside. When you start to feel your knife on the outside you have gone far enough and should carefully start to bore out the hole on the inside. Take care not to go all the way through to the other side. You’ll need to turn the bamboo over and put a groove or notch over the spot where you drilled the hole. This is how the magic happens. Align the notch of one piece with the edge on the other and run the bamboo up and down over the edge, generating friction. With long sweeping motions, you will create the right amount of heat to ignite the dust. Once you see smoke, increase pressure and speed up a little. Once the bamboo with the tinder bundle is smoking on it’s own, you can easily get a flame. In addition to starting a fire, bamboo is a great tool to have for boiling, carrying or storing water. Bamboo grows in sections, so if you cut above these sections you will be able to make a hole in the top or side to store your water. In a survival situation, you can also make a bamboo cup so you can boil water directly in the fire. Making a bamboo cup is quite easy. All you need to do is find live, green bamboo and cut above one notch. This will mark the bottom of the cup, and you can chop or saw below the other notch to form your bamboo cup. If you were in a serious situation, you could use any source of water and boil it in the bamboo cup. Boil water for 5 minutes to kill any bacteria or parasites. Bamboo not only provides clean drinking water, but also a way to cook food. Split a live bamboo in half to use as a cooking utensil. If you were in dire straits, you could make razor sharp cutting utensils and spears for hunting. That’s not all – bamboo is a strong, durable material for building. 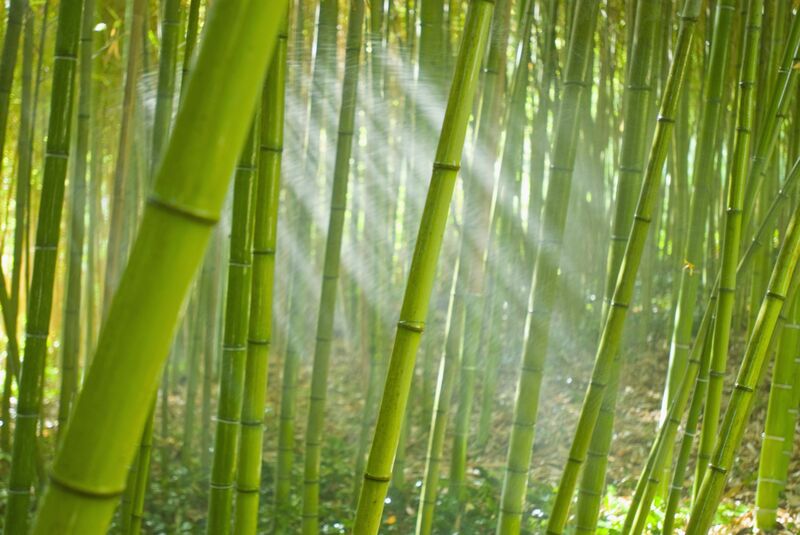 If you needed to, you could easily put together a bamboo shelter as it far surpasses sticks in strength and rigidity. It wouldn’t be hard to construct a temporary shelter with bamboo. The plant normally grows pretty tall and thick, and is much easier to cut down than a giant tree. Many people don’t realize all these potential possibilities for bamboo. Maybe plant some bamboo of your own!